“The Long Road—Argilla Road, Ipswich,” ca. 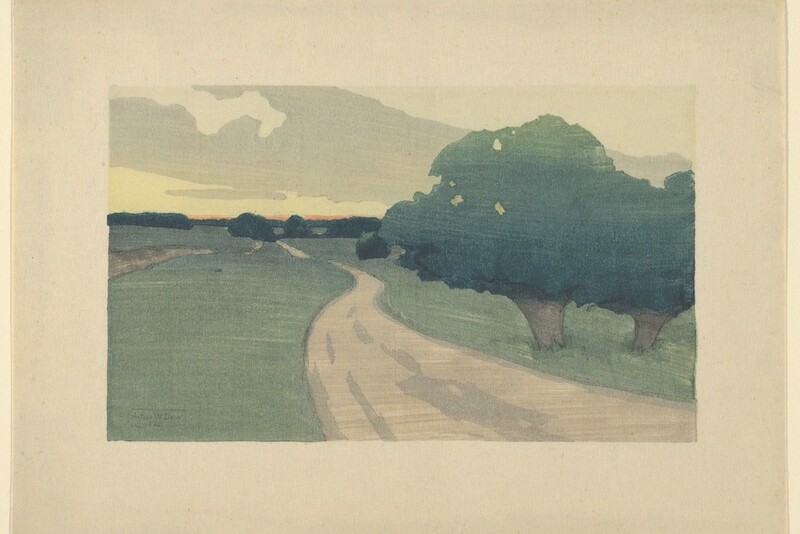 1898-1912, by Arthur Wesley Dow. Color Woodcut. Art courtesy of the Metropolitan Museum of Art. Ryan Collins is the author of A New American Field Guide & Song Book. He hosts the SPECTRA Reading Series in Rock Island, IL where he lives.